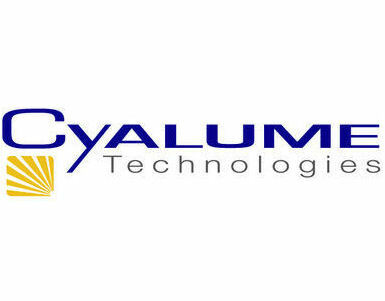 Cyalume technologies Visipad is an innovative solution to the traditional light stick. With a variety of tactical and emergency uses this ultra-flat and ultra-light chemical pad can emit visible light for up to 10 hours. Adhesive backing as well as holes and hooks in the corners mean that this pad can be stuck or hung to virtually any surface including fabrics without leaving any residue. The Visipad provides unique capabilities for search and rescue, marking, evacuation procedures, room clearing and identification friend or foe (IFF). The Visipad is activated by bending and folding the pad in half then massaging the liquid around the pad to spread the light. Its design makes accidental activation very unlikely. Size: 11cm x 6.5cm. Weight: 12g. Colour: Available in range of colours. Please Note: an IR version is also available however an end user certificate is required, price on application. 11th April 2017 by Paul Young The Cyalume VisiPad is compact, measuring 110 x 65mm but just 5mm thick, making it ideal for packing into tight spaces without having items hanging off bergens or webbing. There is a choice of colours, including IR, the latter being of limited use without the appropriate night vision gear. The device is activated by bending in the centre - which releases the chemical reagents – and then massaging the VisiPad until an even distribution is achieved. In my opinion, compared to the Cyalume sticks, this item does not fluoresce as brightly. Having tested the red colour VisiPad I found this piece of kit ideal for close quarter actions such as identification of friendly – the adhesive backing sticks well to rigid fabric, such as the cadet helmet. It can be used to identify certain areas, such as command tents, especially useful at night, either by sticking the patch directly onto the basha, or tying it in place through one of the four holes at each corner. Likewise, it can be stuck on doors to indicate room clear during CQB. Overall, this is an easy to use, versatile specialist piece of equipment, which works very well in close operating conditions.